Carol Feller is a designer I have long admired for her delicate patterning and her elegant attention to detail. The first pattern of hers I knitted is called Talamh -a lovely top down cardigan which I made in Noro Silk Garden. The book features both garments and accessories with lots of interesting quirks. Dovestone has just the right amount of twist to give a gorgeous stitch definition. My favourite design is Capitoline – a side to side knit which would look gorgeous in. any of Dovestone’s colours. 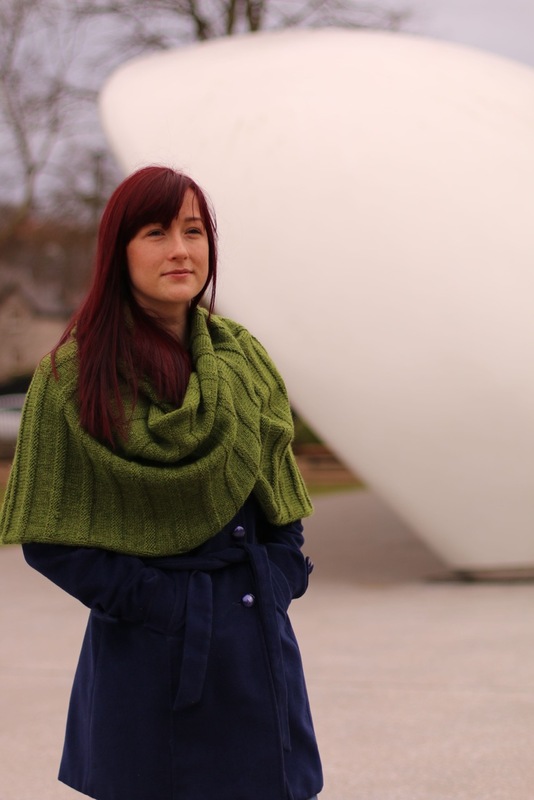 It is mainly designed in garter stitch, which I love, and features a lace panel at each side and at the front to add interest to the structure. I am also itching to cast on a textured striped shawl called Aventine which is very straight-forward – just the kind of TV knitting I like in the winter months. If you are curious to know where the pattern names come from, they are variations of the names of the hills where Carol lives and were created by her husband who apparently loves coming up with the names for her patterns. You can buy Dovestone Hills by Carol Feller here but I have a copy to give away. Just leave a comment here and I will choose a winner at the end of November. I like Carol’s patterns so please count me in for the giveaway! Thank you. I am really happy to be back writing about what I love most!